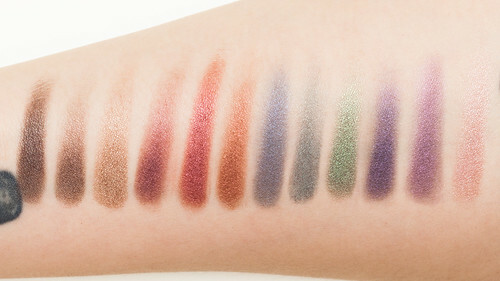 Sonia Kashuk's Eye Couture Eye Palettes finally proved too irresistible a few weeks ago. Gorgeous jewel tones caught my eye while walking through Target's makeup section. Then I spotted the words "Limited Edition" and I had to make Jewel of an Eye mine, like, immediately. I was able to find very little info online (frantically on my phone while in the makeup aisle) before checking out and I wish I'd known better. 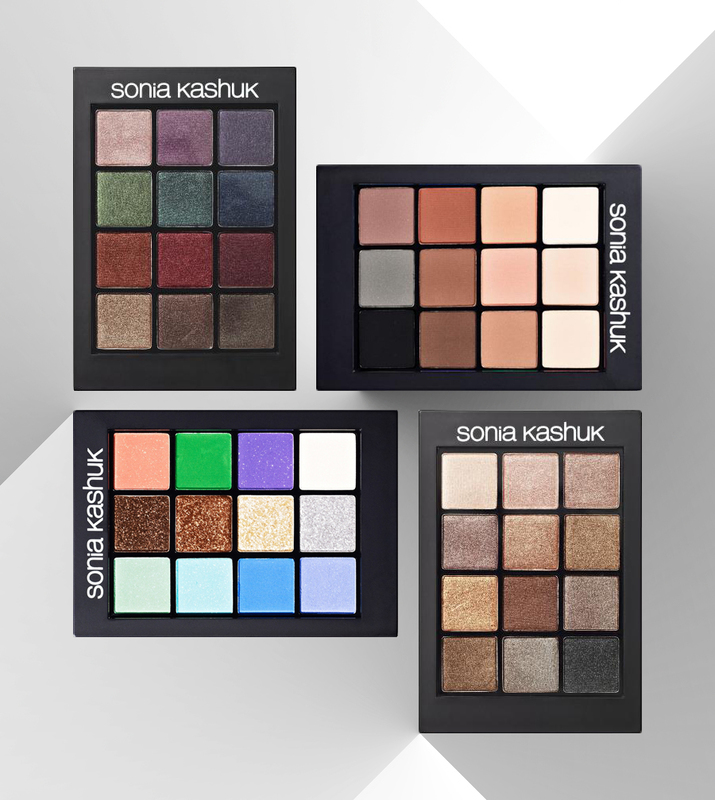 So reviews and swatches for each of these Sonia Kashuk palettes was an absolute must. Jewel of an Eye is a new Limited Edition all-shimmer palette for Fall 2013, which launched in early August. It has beautiful jewel-toned colors perfect for Fall, but is totally well-rounded enough to use all year. 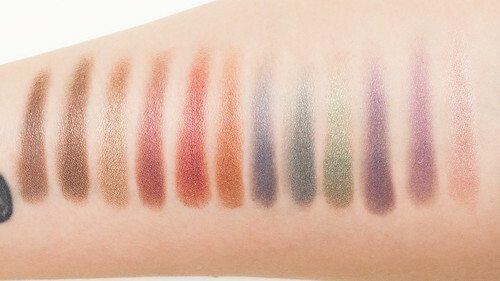 The eyeshadows are opaque, extremely soft to the touch, and a great way to play with rich, deeper colors. The steel blue/teal is the only semi-dry shade. Bottom Line: DEFINITELY GET IT! NOW! GO, GO, GO! Eye on Neutral 02 is a re-release of an all-matte palette in the permanent line (the packaging was made less bulky). There's a wide range of neutral colors but the texture is so incredibly chalky. 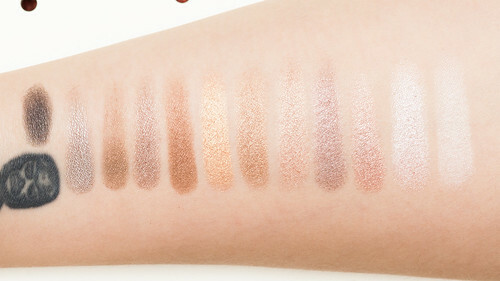 The eyeshadows are blendable, swatch pigmented, but sheer out significantly once applied to the eye. If a cream base is used the color can be built up, though. Bottom Line: I feel like this palette gets a lot of hype because it's an all-matte neutral palette at a mid-range price. Given the quality I would recommend skipping it. * I will say despite its powderiness, it's great for brows! Eye on Neutral Shimmer is an all-shimmer palette new for Fall/Winter 2013, which launched mid-August and seems to be permanent. 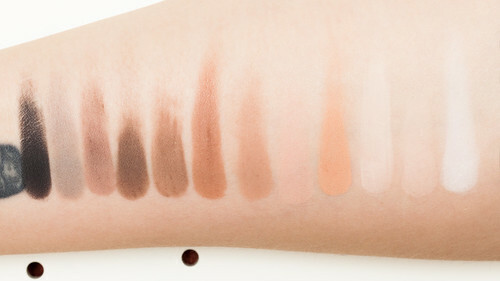 There's a great range of neutral shades, much like the all-matte version of the palette. The colors are beautiful and opaque, the texture is nice and soft, and it's an awesome accent to Jewel of an Eye. Bottom Line: A great alternative to the all-matte Eye on Neutral palette and worth getting if you love neutrals and aren't afraid of a little shimmer. Eye On Glamour is a bright-colored multi-texture palette from Spring 2013, which launched in March and is now discontinued. There is a mix of mattes, satins, and glitter shades, with the glitters being totally out of control (after swatching I had it on me for what felt like days). The colors are beautiful in the pan, however most performed just as chalky as Eye on Neutral 02. Bottom Line: It's awful. And it's actually the reason I was back at Target last week and ended up with the Eye on Neutral Shimmer palette. I hastily returned it before taking anything more than a phone photo of it (sorry about that!). Overall: Sonia Kashuk's Eye Couture Eye Palettes have me torn, they're so hit-and-miss. For the amount of product these palettes provide, and the number of colors, it seems like an awesome deal. 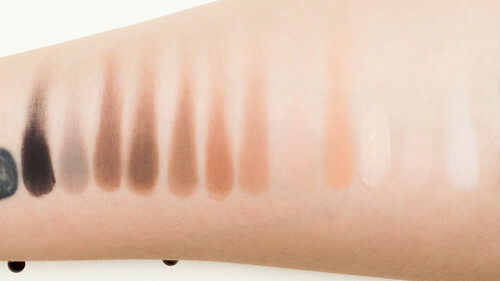 However, some of the eyeshadows are just unusable in my opinion. Thankfully Target has a great return policy and, I'll admit, I feel guilty returning used cosmetics but you gotta do what you gotta do, right? *NOTE: Because it's at this weird too-expensive-for-its-own-good/so-cheap-when-compared-to-high-end-stuff, it's hard to completely hate Eye On Neutral 02. For $7 more you can get Urban Decay's Naked Basics ($27), for $19 more Stila's In the Know ($39), or for $22 more you can get the LORAC Pro Palette ($42), hell, even the LE Enlisting for Beauty Wet n Wild trio may be a good alternative and it's only $2.99! I think I may return mine because I own all of those palettes already (except Wet n Wild's new trio) since I have zero self-control. I'm glad you found the post useful. The palettes that work well are totally worth the price and when you break it down you really get a lot of bang for your buck. But when it's bad, it's bad. I have four of the Sonia Kashuk quads that I'll post about soon because I couldn't find much on those either. They're $13.49 for 5 grams which is so pricey. The sleek packaging pulls you in and the word "clearance" seals the deal! Target totally knows what it's doing! Same! It's like I can't help myself whenever I see a neutral palette no matter how many I own. I was really proud of myself when I returned my NAKED palette. It was a small victory in my makeup hoarding lifestyle. Hey, Vivian! 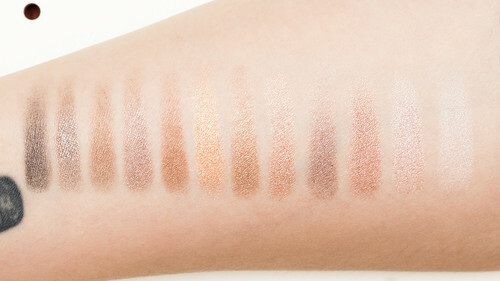 I would whole-heartedly recommend the shimmer neutral palette over the matte pigmentation-wise. If you're looking for sheer color, the matte palette would be better — just know that it's quite chalky. I hope this helps!